I was always proud to call myself a Nationalist. Proud in the thought that my party and the majority of its supporters shared my same values. Values built on the foundations of a fair and functioning democracy, equal justice for all and ultimately freedom of speech. Those same values that Eddie Fenech Adami taught us to protect so dearly. Yet over the past few weeks I have come to accept a reality that I have sub-consciously refused to acknowledge. Truth be told, the majority of Nationalist supporters are no different to their Labour counterparts. It only takes a few minutes of social media browsing to realise this. The messages of disdain aimed at whoever dares question Adrian Delia. The way they attack the person and not the argument. You may wonder “Why this sudden metamorphosis in dealing with contrasting ideas?”. It was so different in the days of Eddie Fenech Adami, Lawrence Gonzi and Simon Busuttil. What kept them in check back then? The first signs of metamorphosis can be traced back to that very moment that Adrian Delia called the late Daphne Caruana Galizia “biċċa blogger”. As of that night, social media was filled with targeted Labour like jibes towards Daphne Caruana Galizia by the very activists who only a few months before gathered to support her in peaceful protest. You see it is the party leadership that sets the tune, to which the party activists willingly dance. Any notion of Nationalist supporters having a mind of their own, capable of telling right from wrong is nothing but an illusion kept in check by the coherent philosophies of previous party administrations. If Simon Busuttil chose to call people onto the streets to uphold a journalist’s freedom of expression, the party activists would flock to the streets with banners in hand. Yet the moment Adrian Delia called her a “biċċa blogger” in their eyes she became just that and worse. In recent weeks we have heard Adrian Delia “poetically” branding anyone opposing his leadership as “traitors”. Jean Pierre Debono showed self-thinking Nationalists the way to the door unless they blindly dance to his leader’s tune. As the concerted message from Clyde Puli, Debono and others became more menacing, party activists did not hesitate to follow the lead and take that message to the social media platforms where threats are free from the restraint of the more traditional media. Even though Puli and Debono didn’t exactly ooze subtlety in their words nor did they ever intend to do so. I can assure Jean Pierre Debono and the like-minded that any self-thinking Nationalist walked out of that door long before he even lifted his finger. 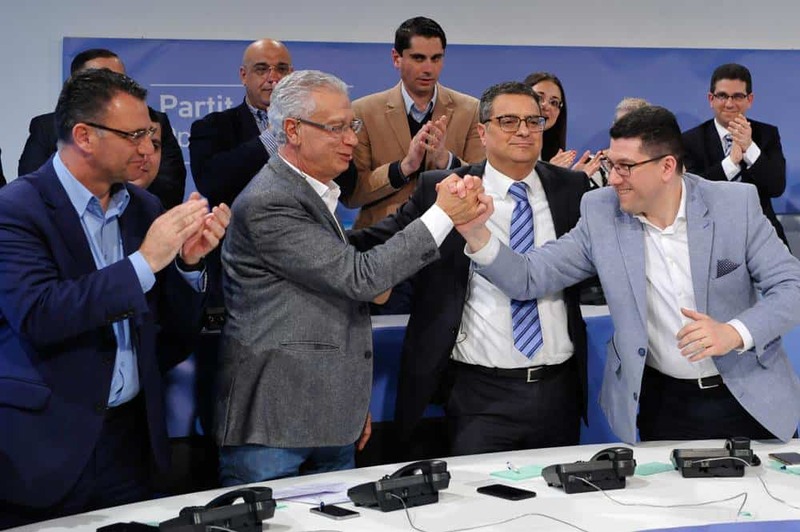 Having done precisely that myself, I can assure Adrian Delia that he cannot brand me a traitor to a party I now no longer belong to since the moment it replaced principle for populism. Our recent political history shows us that this country is intrinsically inclined to elect a socialist government. We live in a predominantly Labour voting country. The Nationalist Party’s core vote alone is insufficient to have any realistic hope of victory. The Nationalist Party’s electoral victories always depended on attracting a large majority of the free thinking voters. Yet the current Nationalist leadership continues to dangerously plough on in the opposite direction of the free thinking electorate. All this whilst Adrian Delia and Jean Pierre Debono enjoy the adulation of what’s left of the clapping crowd. Come May reality will hit the wall; the music will change. But who will be left to blindly dance to the tune?